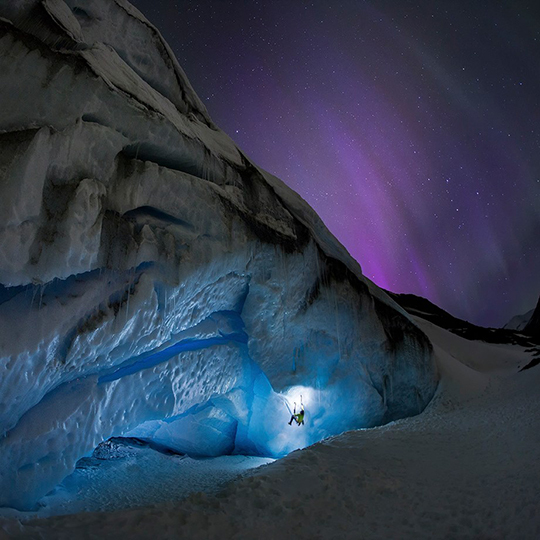 From November 30 to December 6 we presented photos by Paul Zizka as part of our Alpinist Community project. Some of Zizka's photos are available for download from our Wallpaper Archives. 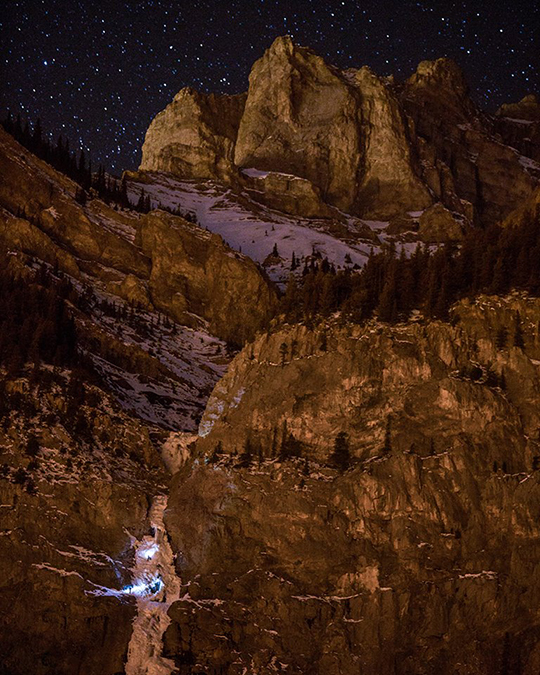 Zizka calls his collection: "Night Ice Climbing in the Canadian Rockies." "Cryophilia" John Price climbs toward the Andromeda and Milky Way galaxies on a perfect night in Haffner Canyon, Kootenay National Park, B.C. 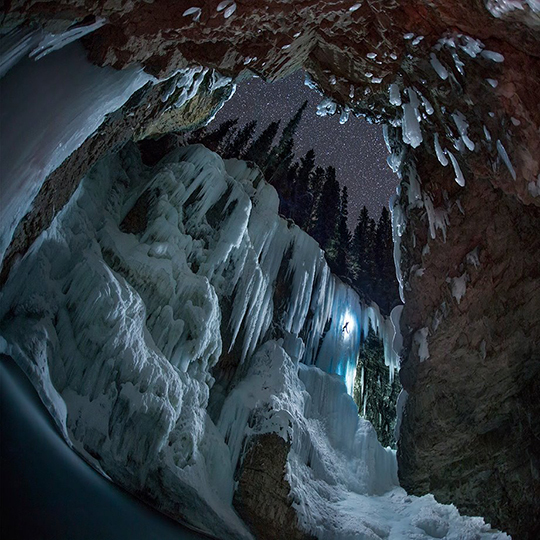 "Ice Dreams" John Price ascends the curtains of Johnston Canyon, Banff National Park, Alberta. 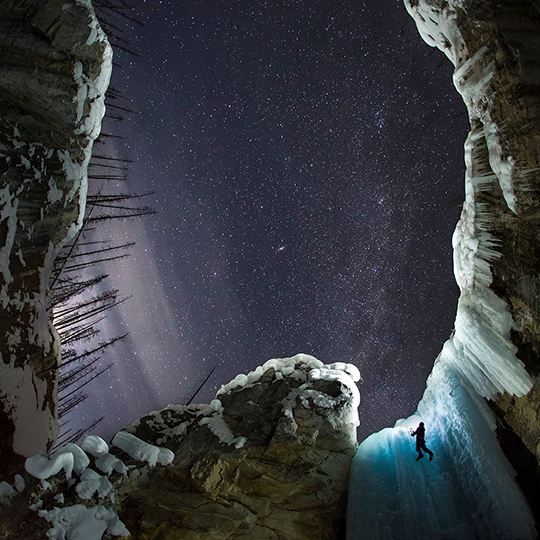 "Climber in a Teardrop" John Price explores newly formed ice under a starlit Natural Bridge, Yoho National Park, B.C. "Scene from a Climber's Dream" Mike Stuart tackles the toe of the Athabasca Glacier under the glow of the aurora, Jasper National Park, Alberta. 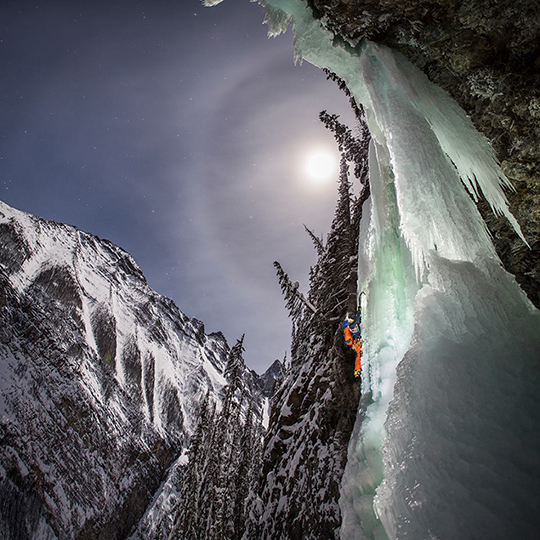 "Astroclimber" Mike Stuart ascends Louise Falls under a haloed full moon, Banff National Park, Alberta. 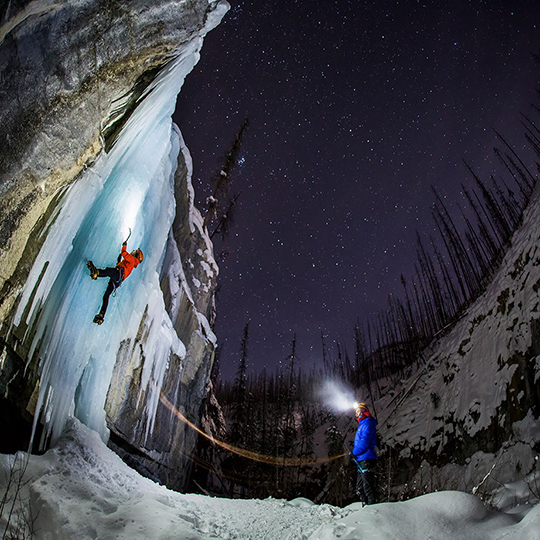 "Starlight Canyon" Jonathan Fox and John Price tackle the ice curtains of Haffner Canyon on a chilly night in Kootenay National Park, B.C. "Flies on the Wall" Climbers are bathed in the surreal light pollution of the Trans-Canada Highway as they make their way up Cascade Falls, Banff National Park, Alberta. 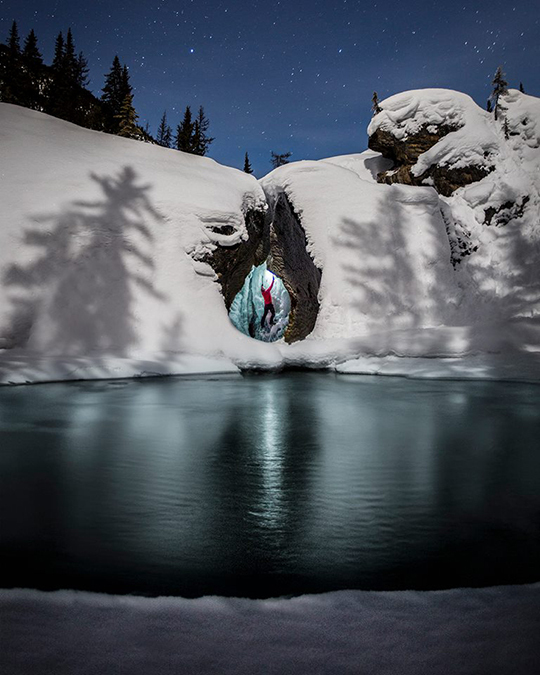 To learn more about Paul Zizka, check out his website and follow him on Instagram.